WITHOUT THE SUPPORT OF THE PROFESSIONAL TRUCK DRIVERS ACROSS THE COUNTRY, WE WOULDN’T BE ABLE TO DO THINGS THE WENDY’S WAY. LET’S TIP A HAT TO THEM AS WE CELEBRATE NATIONAL TRUCK DRIVER APPRECIATION WEEK! The Square Deal Blog welcomes Senior Vice President of Distribution, Logistics, Commodities and Industry Affairs, Josh Sell, to the blog. Josh works for Quality Supply Chain Co-op, Inc., also known as QSCC, which is tasked with supporting the Wendy’s supply chain. QSCC is expertly focused on the procurement, logistics and distribution of the delicious ingredients (ahem, like Wendy’s always fresh, never frozen beef*) you find at every Wendy’s restaurant. Anyone who decides to drive a commercial truck for a living is performing one of the most critical aspects of our economy. Think about the products we enjoy every day, yet probably take for granted. Groceries. Gas. Clothing. Electronics. School supplies. Food at our favorite restaurants, like Wendy’s. Do we ever stop to consider how these staples of our lives magically get to where they are supposed to be when they are supposed to be there? National Truck Driver Appreciation Week in America is Sept. 9-15. It’s an opportunity to honor all professional truck drivers for their hard work and commitment to one of the most demanding and important jobs that exists. These 3.5 million professional men and women support supply chains across the country to deliver the vast majority of our time-sensitive goods safely, securely, and efficiently 365 days a year. 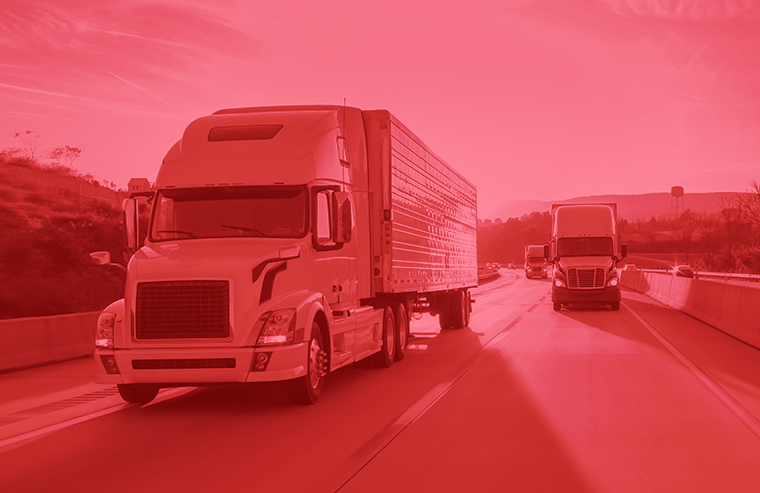 The Canadian Trucking Alliance also just observed National Trucking Week, which spotlighted the important contributions made by the 400,000 Canadians who work in the industry. Quality Supply Chain Co-Op (QSCC) would not be able to supply Wendy’s supply chain with fresh beef, chicken and salad (not to mention every other item on the menu) were it not for the tens of thousands of truck drivers who support Wendy’s logistics by delivering food to the distribution centers and, ultimately, the restaurants. Without truck drivers, there’s nothing to sell on the menu. Nothing to promote. No Wendy’s. Driving a truck is not the easiest job in the world. At times, it can be lonely and sedentary. But, perhaps most difficult, truck drivers deal with being the unsung heroes of the business. Although trucking has become a lucrative business for drivers, what we are finding is it’s not all about the money. Culture, employee appreciation and respect are a big part of what motivates them to climb into the cab every day. Read the full post on The Square Deal Blog. Mark Your Calendar: Dinner at Wendy’s on November 14!